Until recently the UK’s wind power sector – and its offshore turbines in particular – was a bit-part player in the country’s energy mix, known mostly for its controversial subsidies. 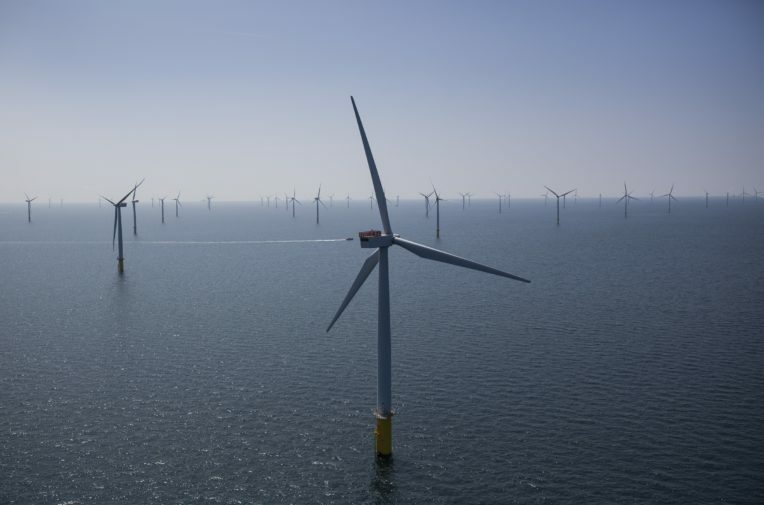 The UK government this month signed a deal for offshore wind to produce ⅓ of the country’s power by 2030 — a rare success story in the country’s flailing energy policy. The sector was initially led by new players – such as Denmark’s Ørsted (formerly Dong) – but now the UK’s big electricity companies are getting in on the act. None more so than ScottishPower, the country’s 6th biggest supplier, which last year sold the last of its fossil fuel assets and went fully renewable. Unearthed spoke with their chief executive Keith Anderson. Though the target in the offshore wind sector deal is significant, concerns over the viability of the nuclear power pipeline – since 2 planned power plants have been ditched in recent months – has prompted the question: Is it enough? Some would say otherwise — after all the government is not making funding available for any more than that. Does that ambition suggest Scottish Power sees the possibility of an all-renewables energy system in the future? ScottishPower may be the only one of the Big 6 utilities that’s 100% renewables, but they aren’t the only big company in this space. In fact, by some measures they’re small fry. Oil giant Shell, for instance, has designs on becoming the world’s biggest electricity producer (“Good for them,” Anderson laughs). This week they rebranded First Utility – the largest supplier outside of the Big 6, which they bought last year – as Shell Energy and it will be powered entirely by renewables. Meanwhile as the electrification of transport promises to take off, will car companies like Volkswagen enter the power arena? And of course the titans of tech such as Google and Facebook are building vast amounts of renewable energy. Are utilities at risk of going out of date? “People say ‘you’re getting involved in transportation and autonomous vehicles and you’re going to be competing with the big car manufacturers, and you’re going to be competing with Google and Amazon, and you look at renewables and you’re going to end up competing with Shell and BP’ — They’re going to try and compete with us. This is our market and our business and we have a unique position in it,” claims Anderson. And our internet overlords? “They’re already in our industry. They run big huge data centers, they are some of biggest consumers of electricity and yes they’re all looking at autonomous vehicles and they’re all looking at the use of data etc. It is perhaps a little unfortunate for ScottishPower that, taken as a whole, the Big 6 are famously unpopular with the customer. As the wind industry has flourished, so too have the expectations that it will provide the long-promised jobs. Though the sector has undoubtedly created jobs, it’s not gone unnoticed that many of the big developers are from abroad, where they design and often build their turbines — Vattenfall is from Sweden, Ørsted is Danish, even ScottishPower is owned by Spanish firm Iberdrola. Last week Scotland’s energy minister said “patience is running thin” with the industry, and called on wind power companies to generate greater return for the local economy. 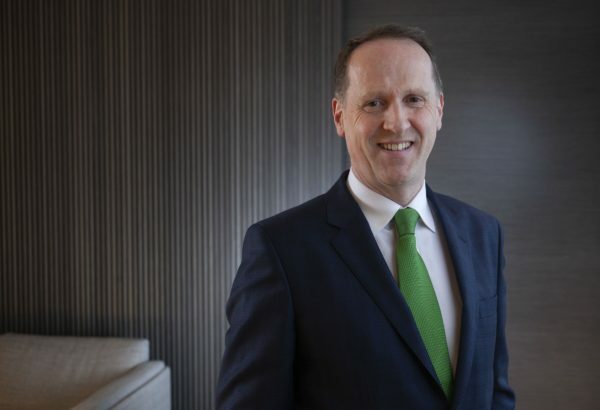 ScottishPower, he said, prides itself on its commitment to get 50% of its content from the UK for the most recent projects it has launched,the government has demanded firms go one step further: 60%. Still, he feels focusing the manufacturing can miss the big picture. Anderson is careful not to criticise a government which has just given him and his industry a real show of confidence, but even he can’t pretend the UK has done enough to develop the industry and infrastructure needed for a domestic supply chain, and all the good that comes with that. “The one thing that absolutely has to happen is that there needs to be investment into some of the supply chain facilities in the UK, into things like harbour facilities, into some of the big fabrication yards,” he said. But the thing about jobs in operations and maintenance is that they may not be very high quality. A Guardian investigation last year showed subcontractors on windfarms operated by ScottishPower’s Big 6 rival SSE were using foreign labour being paid under the minimum wage, a practice that is common in offshore sectors, such as oil and shipping. This is the burden that comes with going from a bit part industry to a central part of the country’s infrastructure in a a few short years. Particular to this industry, however, is the controversy around the impacts on wildlife – as the number of offshore turbines increases, so too do the risks to coastal ecosystems. It’s cheapest to position turbines in shallow waters – the kinds of areas normally rich in marine wildlife. The fear is the turbines will push them out. The RSPB has sued to stop the development of a number of offshore wind projects in Scotland, claiming they threaten the lives of seabirds. “As an industry, as a company, we take this phenomenally seriously,” Anderson said. For Anderson and ScottishPower these headaches are the cost of doing a necessary business, because without a thriving offshore wind industry the UK will simply not do enough to meet its obligations to prevent climate catastrophe. 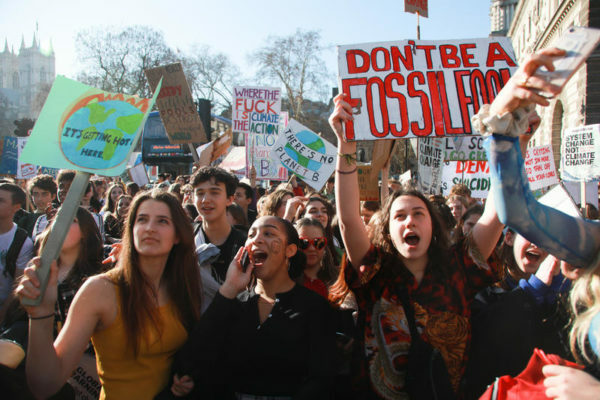 The school strikes are “brilliant” and “it’s fantastic that you’ve got youngsters completely engaged in this topic.” Their urgency is not misplaced, and Anderson said it’s essential that we don’t get fatalistic.